Emails are stored in MS Outlook client in specific format that is not readable by non-mail applications. Sometimes there is a need to extend the use of electronic messages, and one of the solutions is turning them into images. If to export Outlook to TIFF, the emails become viewable in any image viewer, can be sent by fax and used for other needs that native Outlook format doesn’t support. 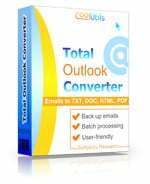 Total Outlook Converter provides TIFF converter that is able to turn all your messages in formatted TIFF graphics. You can choose one of the aforementioned modes, or select a few at a time, to process all attachments you need properly. 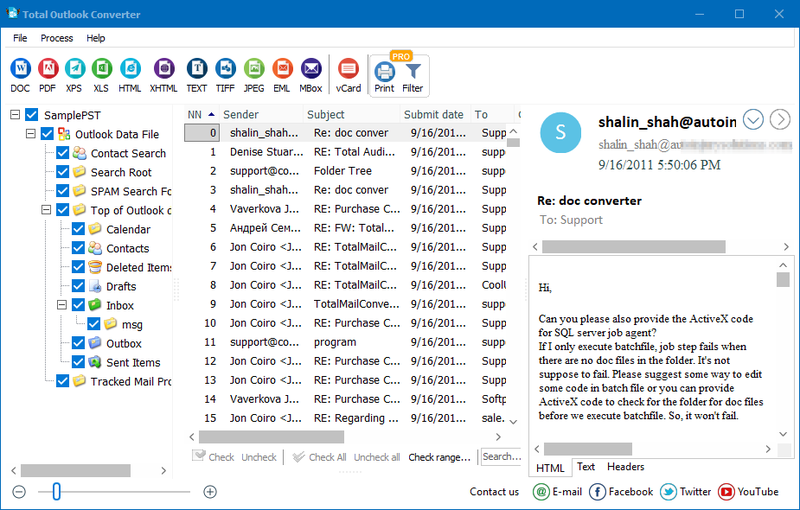 If you want to export Outlook to TIFF and convert the attached file to TIFF as well is the Pro version. the attached documents and messages will also be converted to TIFF. The target format is the same for all email items. 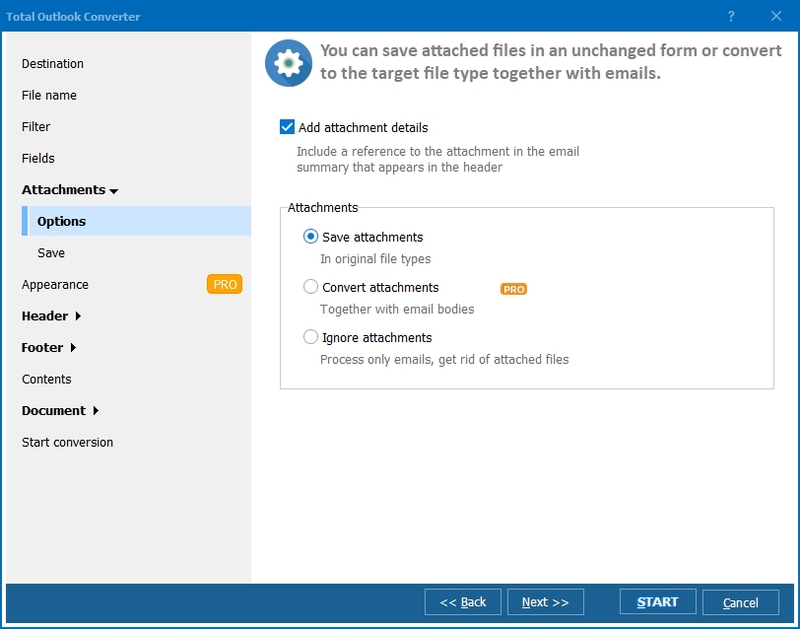 If you do not need to convert all email fields like subject, recipient or date, you can uncheck them from the field list in the options wizard. The program will convert only those fields that you need. The option wizard pops up after you select sources and target format. 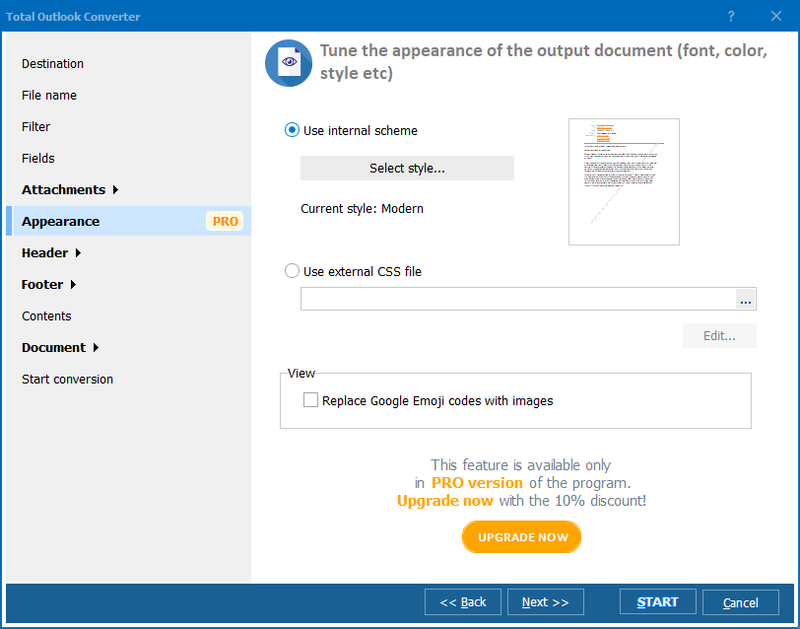 It also offers setting headers and footers, choosing the right paper format. If needed, you can even compress TIFF copies by one of seven available algorithms. This will save the memory space. 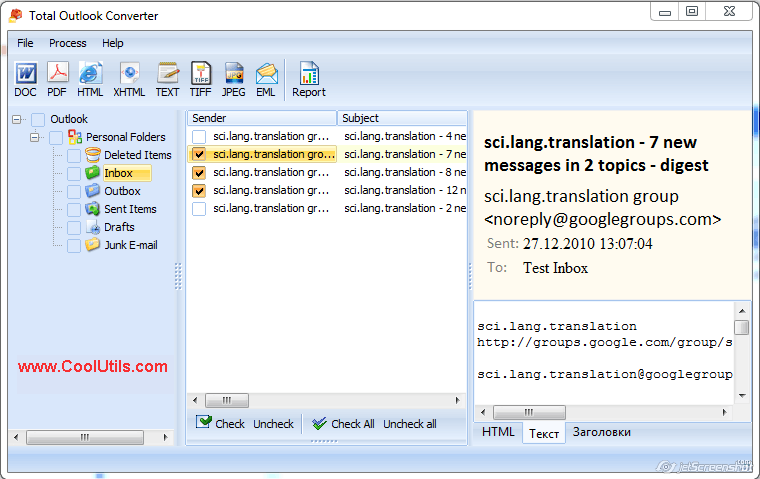 Total Outlook Converter works messages in batches that deprives user of the need to do the same settings for each message separately. To appraise its efficiency, take a look at free trial version or order a license.